I love all Cotton & Steel prints. They are just lovely. I’ve been treasuring this print for a while; its like a piece of art. I just couldn't get myself to cutting it. So I thought making a whole cloth quilt will be perfect. The fabric for the binding was he perfect match and it gives it such a pop of color. I really love how this quilt turned out. 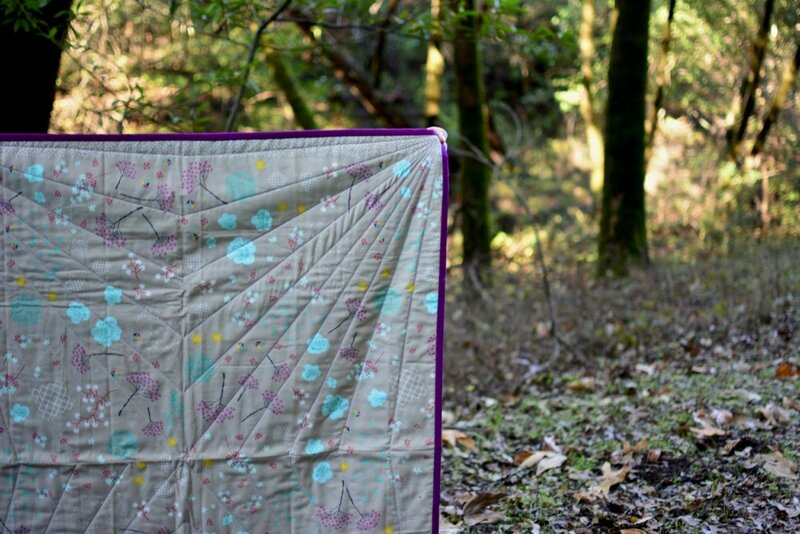 This quilt will be available in my shop (opening very soon!). Also coming soon a bit of redesigning of the site and a new name. Hoping to share everything with you in a short time.